For the fourth year in the row, SUNY Broome’s Martin Luther King Jr. Career Fair has reached its maximum capacity of 90 employers. Please join SUNY Broome Sports Management for a night out at NYSEG Stadium on Tuesday, April 30, as the Binghamton Rumble Ponies take on the Akron Rubber Ducks at 6:35 p.m. The Council for Operational Issues will meet at 9 a.m. Thursday, April 25, 2019, in the Darwin R. Wales Center’s Gary Alan Bosket Conference Room (Wales 203B). On the day before Mother’s Day, here’s a “two-fer” that should make your mom smile. Get yourself a nice, hearty meal (“the better to help you study, my dear”), and, at the same location, pick out a lovely hanging basket to give as a gift. The 2019 Mock Environmental Disaster will take place on Friday, May 3. 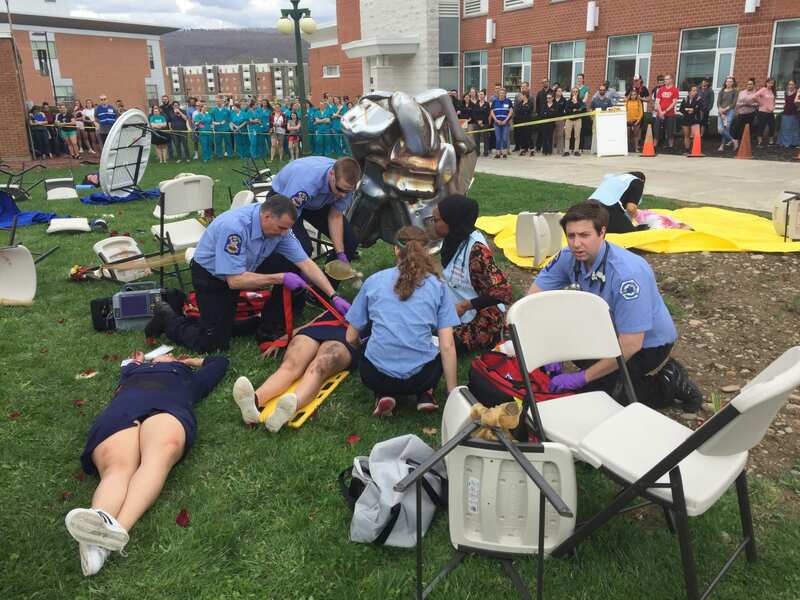 The drill allows students to hone their skills as first-responders, medical professionals and more. community out there. Do you want to learn more and get the facts? Join us from 11 to 11:50 a.m. April 25 in Decker 313 for a presentation and discussion on many different terms, issues and topics regarding the LGBTQ+ community. Take part in an evening on the red carpet, honoring student leaders who have achieved accomplishments above and beyond expectation! Please join Earth Day Southern Tier (EDST) as we host Earth Fest 2019 from 10 a.m. to 3 p.m. Sunday, April 28, in SUNY Broome’s Baldwin Gym.